MANILA, Philippines (CNS) — Manila’s cardinal has ordered church bells to be rung in that archdiocese every evening starting Sept. 14 to remember the thousands of people killed in the government’s campaign against drug dealers and addicts. The archdiocese joined a long list of dioceses across the country that started commemorating the deaths by tolling church bells nightly. In a letter dated Sept. 8, Manila Cardinal Luis Antonio Tagle again called attention to the sustained killings of mostly poor people, either in police anti-drug operations or unexplained deaths that human rights groups have called vigilante murders. 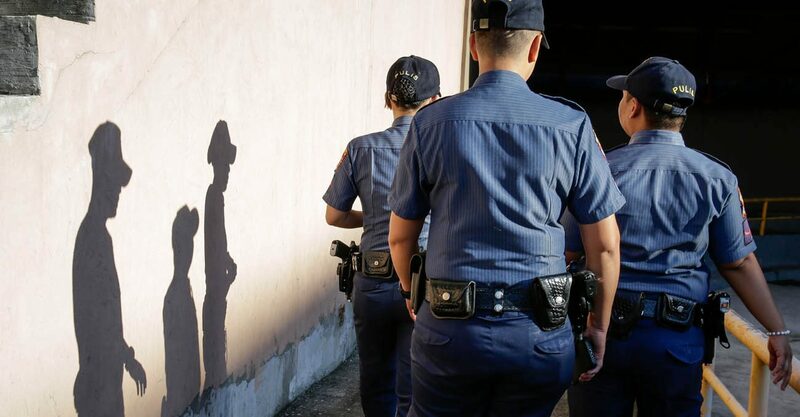 Since he took office in June last year, Philippine President Rodrigo Duterte has ordered law enforcement to eliminate what he calls the country’s “drug problem,” ordering officers to kill drug offenders and users. Before being elected, Duterte ran on a campaign to clean up crime and encouraged the public to take matters into their own hands if they saw any wrongdoing. Rights groups say more than 7,000 people have been killed since then. Local news outlets place the deaths between 10,000 and 13,000. In the letter, Cardinal Tagle said he and other bishops met in late August with Philippine officials as well as police, human rights commissioners, youth groups and families of victims to try to try to address the issue of illegal drugs in the Philippines. This was a follow-up to his call Aug. 20 to hold a dialogue with these groups. After meeting with the victims’ families, the prelate urged the faithful to “intensify (their) solidarity with those who have been killed and to extend empathy and spiritual support” to their families. Duterte’s popularity has remained high, but the Aug. 17 killing of Kian Loyd Delos Santos just north of Manila sparked public outrage and continuous protests that have been encouraged and heavily attended by clergy and religious. The 17-year old high school student was seen on closed-circuit video being dragged away by alleged plainclothes officers; his body was later found with bullet holes in the head. The teen’s death prompted a Senate probe into the anti-drug operations that has brought to light the recent deaths of at least two other young men. The national police director general also called for an investigation.